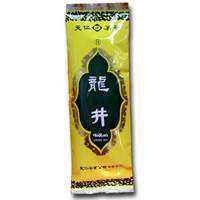 Long Gin Tea is an unfermented tea. When brewed it produces a light greenish-yellow hue, a fresh flavor, and a pure aroma. Green tea contains vitamin C, many amino acids, and among teas, the highest concentration catechins. Drinking green tea may reduce the risk of breast or prostate cancer. Whether you are at work or at play, this tea is perfect for any occasion.